Mr. Morrison is a graduate of the University of Maryland and the University of Baltimore School of Law. 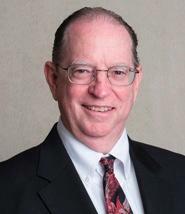 He began practicing Elder Law in 1990. He opened his own practice in the Year 2000 in the Frederick area, where he continues to serve the community. Mr. Morrison is licensed to practice in Maryland and the District of Columbia. In 1999, Frederick Magazine's poll of local attorneys named Mr. Morrison Frederick's top attorney - "The Attorney's Attorney." The polls of 1999, 2001 and 2003 listed him as one of the top attorneys in each of his areas of practice: Elder Law, Estate Planning, Probate and Social Security/Disability. For providing his assistance during the September 11th Call Up, Mr. Morrison received a letter of recognition from the U.S. Army. Mr. Morrison is sought after as a speaker for many organizations statewide - both large and small. He travels within the United States to speak at a variety of conferences, lecturing extensively on Elder Law. Mr. Morrison is married with two children and has lived in the Frederick area for more than 20 years. He enjoys staying active in the Frederick community with Boy Scouts and supporting local charities.